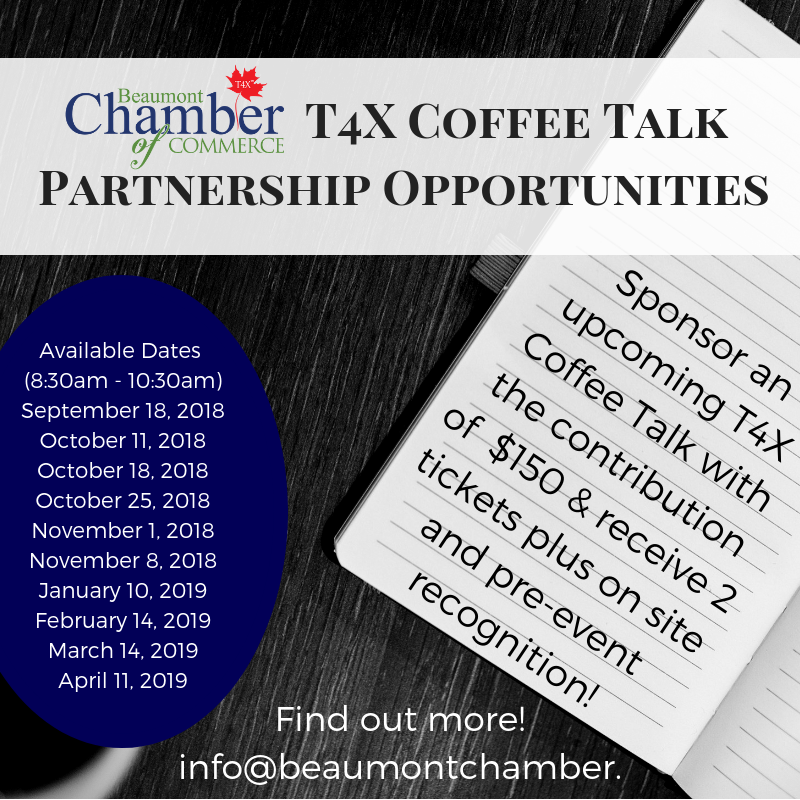 Your partnership with the Beaumont Chamber of Commerce through event sponsorship will help to increase brand awareness, align your business with the community and connect you with new clients and decision-makers. Your support helps to ensure quality events at affordable prices. The Beaumont Chamber of Commerce Business Awards Gala recognizes and celebrates the successes of our local business community. The event brings together 100 of Beaumont's most influential businesses and civic leaders to recognize companies and entrepreneurs for their "above and beyond" achievements in 2018. The T4X Coffee Talk Events are Monthly events held to offer an educational component to our members. With the contribution of only $150, your business can be showcased as the Event Partner for these events. You will receive 2 complimentary event tickets, your logo included on marketing materials leading up to and present during the event, an opportunity to include an item on the event tables, and you will be highlighted as a supporter during the event by the Emcee. 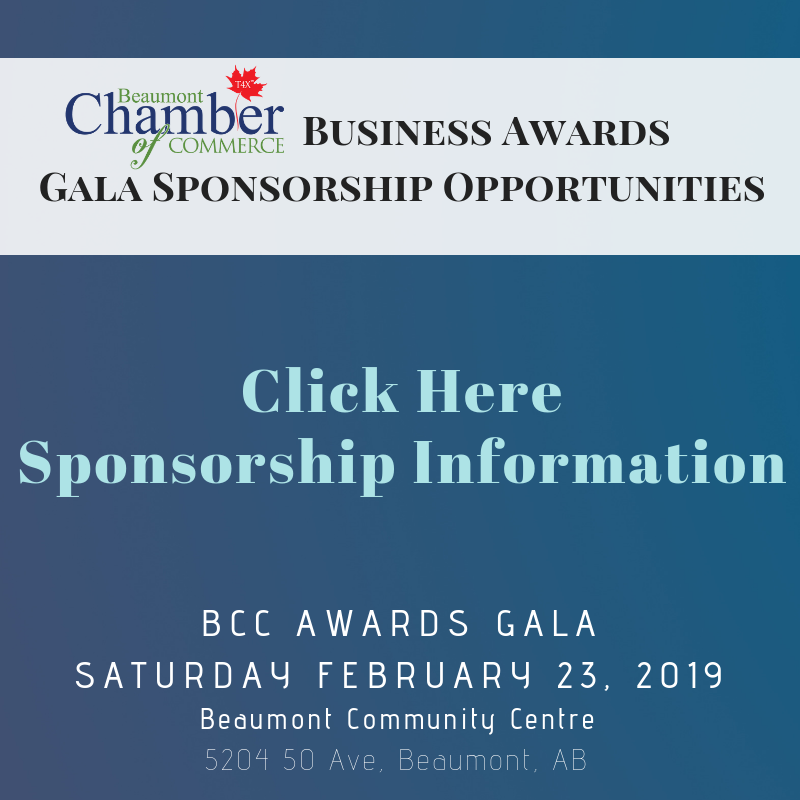 Please contact info@beaumontchamber.ca if you are interested in this partnership opportunity, indicating the dates you would like to provide sponsorship for.